ObamaCare is a very flawed must be replaced with a competitive health insurance program. ACA is any thing but affordable. The republicans have to have a viable alternative. Until they have one, stop talking about it. The current healthcare system is fundamentally flawed. There is massive fraud and corruption, the patent laws are “played” unfairly by major drug companies, the billing practices are in need of complete overhaul (my daughter recently went to an Urgent Care facility waited for two hours and was seen for 5 minutes and then received a bill for $1000; when she complained, they re-billed at a lower level code for less dollar value. there are no incentives for better care or lower costs, there are huge disparities between cost billed b y different care providers, there is no input from the patient to opine on what was done and what costs were billed. We need a commission to work on this and lay out all of the root causes as to why our system is so costly while delivering no better care. We are wasting $1 trillion per year for a bad system. I do believe by putting the individual and patients in the drivers seat. Make the insurance company’s compete for the business. You will see the prices come down. As for Obamacare… unconstitutional from the day it originated. It is in line with the US Constitution, where both obamacare and medicare for all is nothing more than a play to keep the general public poor so the’ll be easier to control. Do people really thing big business or the rich liberals are going to take money out of their pocket to pay the costs? Only if the public is dubbed or uniformed. Medicare premiums are means tested; the max is deducted from my Social Security “Federal benefit.” My 2018 Form 1040 includes $57,824 for the 3.8% “shared responsibility” tax a/k/a O-care tax. Outrageous! Most of that tax was on capital gains from the CVS Health acquisition of Aetna, Inc. Beginning in 1968 and ending in 1992, I accumulated Aetna stock. John W Welch, College Station, Texas. Democrats have long used the courts to change laws to their way, it’s about time we learned how to use them to get rid of bad law. Giving the government the power to tax citizens for NOT buying something is too much power. Corrupt. Allowing the supreme court to edit laws and fine tune the language to make it acceptable to justice’s is unconstitutional. Tax laws are supposed to begin in the House. Healthcare and insurance. Why don’t we try a Free Market Economy. Today’s representatives in Washington don’t know what Free Market is. I am confused why conservatives don’t have a healthcare solution. We need to know what are the costs for medical procedures (transparency), competition, insurance options for catastrophic care, plans for pre-existing conditions, transparency on drug costs, options for the poor which encourages them to pay attention to costs. Can Heritage help Conservatives explain and promote a better plan for U.S. healthcare? We can’t speak for Republicans in Congress, but conservatives do have a plan. Giving you more freedom, and more choices can actually bring down costs. Please have a look. It’s about time this massive government overreach was declared unconstitutional. Supporting the lawsuit against the ironically-named “Affordable Care Act” is absolutely the right move. For decades the GOP has wrung its hands impotently, fearful to take principled stands for fear Democrats will say mean things about them, only to find that was always going to happen anyway. President Trump’s bold move to roll back Democrats’ Marxist revisions to our Constitution is not only the correct moral and legal move, it’s the right political move. I’m sure Democrats will campaign in 2020 on the false claim that Trump is throwing people off cliffs and other nonsense, but they would’ve done that anyway. This move could provide sufficient time for the private insurance market to begin recovering from the damage Democrats inflicted, and some voters will react to that reality when they see premiums and deductibles begin to climb down from artificially high ACA-induced levels. And even if they don’t, the ACA will be gone and conservatives can chalk up a win in the war against Democrat’s Marxist ambitions. And I disagree with those who say Republicans must have a replacement for ObamaCare. The whole point of repealing it is that the federal government has absolutely no Constitutional basis for involving itself in a matter that rightly belongs to the states. Giving in to the specious argument that the federal government has any role in health care opens the door for Democrats to hijack any replacement to impose some kind of single payer system. Repeal it and let’s call it a day. My main concern is that where are the Healthcare Providers in all of this??? How can policy makers make changes without the input from Physicians, Nurses, Drug Companies and Health Insurance be made without their input??? This is what was wrong with Hillary Clinton’s Healthcare Reform back in the early 1990’s. Her task force was made up of only lawyers, not one organization from the Medical/Surgical or Pharmaceutical or Health Insurance to give insight to their issues. I haven’t seen any of these organizations being involved, even with today’s suggestions. The Conservatives had better get off of their behinds and truly get going on all of this. They have had plenty of time to do the “right” thing and they have done nothing, that I can see. If it were not for Chief Justice Roberts judicial activism in rewriting the law, we would not have abamacare! This is where the real problem lies and this is where we need to focus our attention. Judges who legislate from the bench instead of just doing there jon of interpreting the Constitution!!! the ACA has survived longer than it ever should have, and it is time to take it down completely and replace it with affordable, accessible, optional and individual insurance coverage through the Free Market concept. I hope President Trump will be able to get the Republicans in Congress, with Heritage’s help, to quickly offer an alternative law about health care. Republicans have allowed the Democrats and the media to take over so-called Affordable Health Care. We need to get moving or we will have a Democrat for President. I am glad for the judge’s decision ruling that Obamacare is unconstitutional. Now we can move ahead with making healthcare in a way that connects patients with physicians and gets bureaucrats out of the way. Kindly review the following which show how to save about $750 billion (with a b) each year and enjoy better health outcomes — saving up to 75,000 lives per year. The first is an article in the NY Times by Robert Pear. It is called “Health Official Takes Parting Shot at ‘Waste’”. Dr. Donald Berwick’s 2011 resignation from CMS (Medicare and Medicaid) and of his complaints that 20% to 30% of all medical expenditures are wasted as they yield no benefit to patients. Dr. Berwick lists five reasons for the “extremely high level of waste” – over treatment of patients, failure to coordinate care, administrative complexity of the health care system, burdensome rules and fraud. He says some of the waste is due to onerous, archaic regulations enforced by CMS. The second item is the result of a study by the IOM or Institute of Medicine (currently called Academy of Medicine or AOM) reported September 6, 2012 which shows ten ways to improve health care in the US and to reduce the cost (reduce waste) of health care by 20 to 30% or, in 2009, saving $750 billion that year. Improving healthcare might also save 75,000 lives each year. Here are three links to or about the study — the first is an article in The Atlantic magazine and it easily highlights how the money is wasted. ACC was never any good. Travesty it has lasted all this time. I am on Medicare but it makes me mad a hell people have to live with ACC. Obama should be in jail for this and many other things. Let’s make this a priority…people are unable to afford the high cost of health care. Along with Closing the Border! Both parties know there are things wrong with Obamacare from day one. FIX it. there is NO plan to take its place. So sit down, discuss, hassle, figure out what to do to make it right. Companies have all changed their plans, People have all changed doctors and plans, Now you want to start from 0 again???? Finally, the return of Common Sense ! My family and I agree with it, but it still is up to congressional republicans to implement a true patient-centered, free market program. The Supreme Court had previously found Obamacare constitutional. How can the Justice Dept and Federal Court now find it unconstitutional? Basically, the Supreme Court upheld the regulations because of the tax that was associated with it. Now that the Tax Cuts and Jobs Act has removed the individual mandate “tax”, that changes its legal justification under the law. Now, since the current administration has brought new people into the Department of Justice, that led to a shift in how the DOJ views the Affordable Care Act. 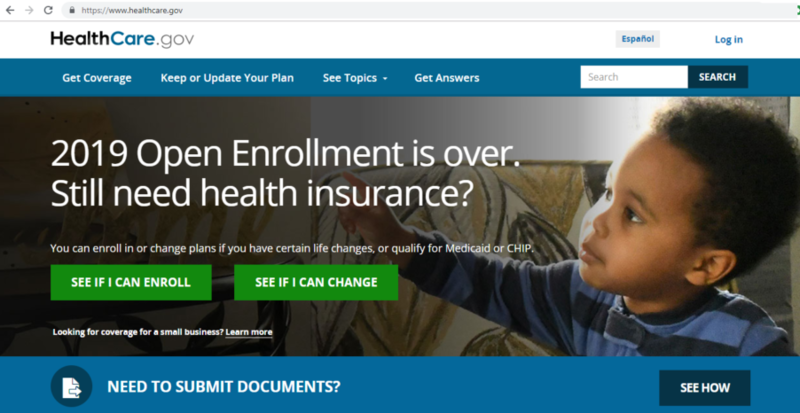 Depending on whether or how the Department of Justice defends Obamacare in court, could mean that the Supreme Court, or the Fifth Circuit court of Appeals, could overturn the law for good. Health care is not a constitutional right and not the government issue. Health care is the responsibility of the individual. Competition between insurance companies with provide the best health care for all. I have practiced primary care internal medicine for 32 years. Obama (we don’t) care is going to turn out to be just as big a lie to the American citizen as Social (in) Security. Americans knew Obamacare was unconstitutional from the beginning but Obama and the Democrats shoved it down our throats anyway. I hope we finally see the courts kill this horrible health insurance program and the Republicans get their act together and give the Americans a good healthcare system (which would have happened last year if one unnamed person had not been a traitor!) Of course, the Democrats will stand in the middle of road to stop anything good for the people of America! Freedom means better health care because it allows doctors and patients to experiment with different treatments. The affordable care act only allowed ‘standard ‘ care which is anti experimentation. Medicare for all is slavery for medical care workers because they must work for the government at the government ‘s pay level no matter the cost of living where they live. Any country with universal health care has shortages of health care workers in some health care sectors. Just like the departments of Education, Agriculture, Welfare, Commerce… I can list dozens… federal government-established programs are not mentioned in the Constitution. Thus all of these are in violation of Article 12 of the US Constitution, and need to be rescinded. It follows that the IMPROVEMENT over Obamacare cannot be carried out by any replacement in the Federal government. The solution is to return the power to the states and people within. The free market will generate solutions beyond our current imaginations. As for the agencies we need (or want) to have in the federal government, we need to start passing some ammendments. The decline of the USA is punctuated by the massive creation of powers not contained in the Constitution, but are reserved for the states or the peoples within. This is a typo on my previous comment: I stated Article 12 in the Constitution. The intended reference is Article 10.